It has become almost impossible to imagine the modern landscape without electronic devices. Smartphones, tablets, music players, laptops… you name it and chances are that a number of these, if not all, will be present in your household. All these devices have their own uses and therefore, each functions in its own unique way. However, what is the one thing, in one form or the other, that all these devices have in common? USB or Universal Serial Bus cables are omnipresent in our plugged-in world. Their demand is so high that every year, tens of millions of USB cables are shipped all over the world. And with good reason, considering that almost every electronic device requires a special component (a USB cable) that enables it to connect with a host of other electronic devices. As technology and devices continually advance and evolve, so do the peripheral devices corresponding to them. The same trend of technological updating is observed with USB cables, but with so many versions and types of USB standards, it has become increasingly mind-boggling to keep track of which USB standard relates to what features. To clarify it all, let’s take a look at some of the basics. The different versions of USB cables, like USB 2.0 and USB 3.0, are concerned with the functionality and speed of the USB cable; whereas, the type of USB cable (like USB Type A, USB Type B) essentially refers to the physical design of the plugs and ports. Before trying to understand the differences between types A and B, let’s first explain the definitions of a host, a receptor and a port. The slot where one end of the USB cable is attached to the computer (the host) at the back or front of the CPU cabinet is called the port. The electronic device that you wish to charge or transfer data to (say, your smartphone or tablet) is called the receptor. 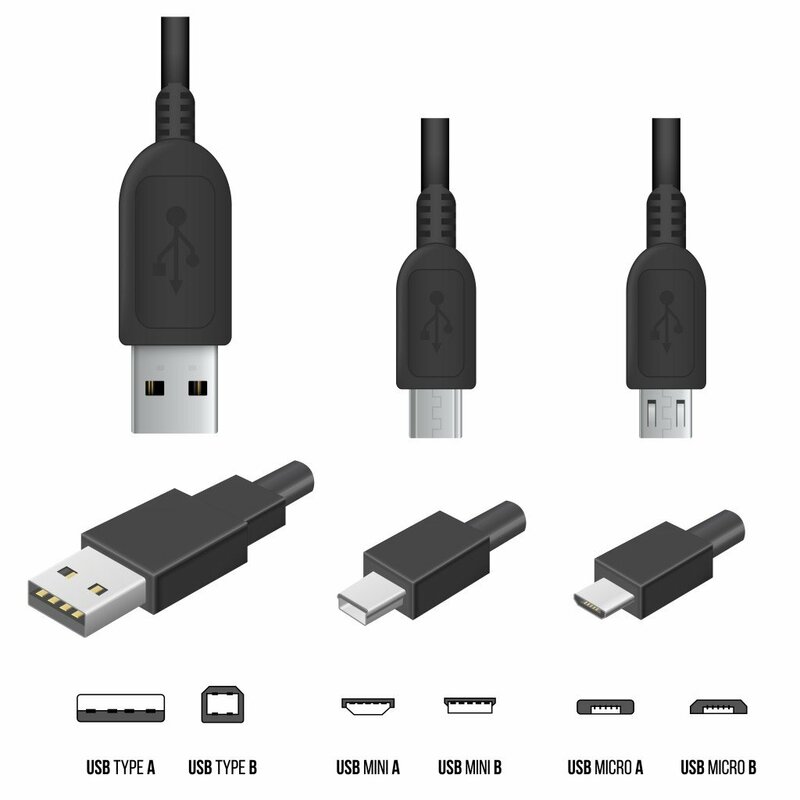 The most popular type of USB standard is Type A, which you can see at one end (the end that goes inside the slot of the host) of almost every USB cable nowadays. You will most likely to find Type-A ports in host devices like desktop computers, gaming consoles and media players. 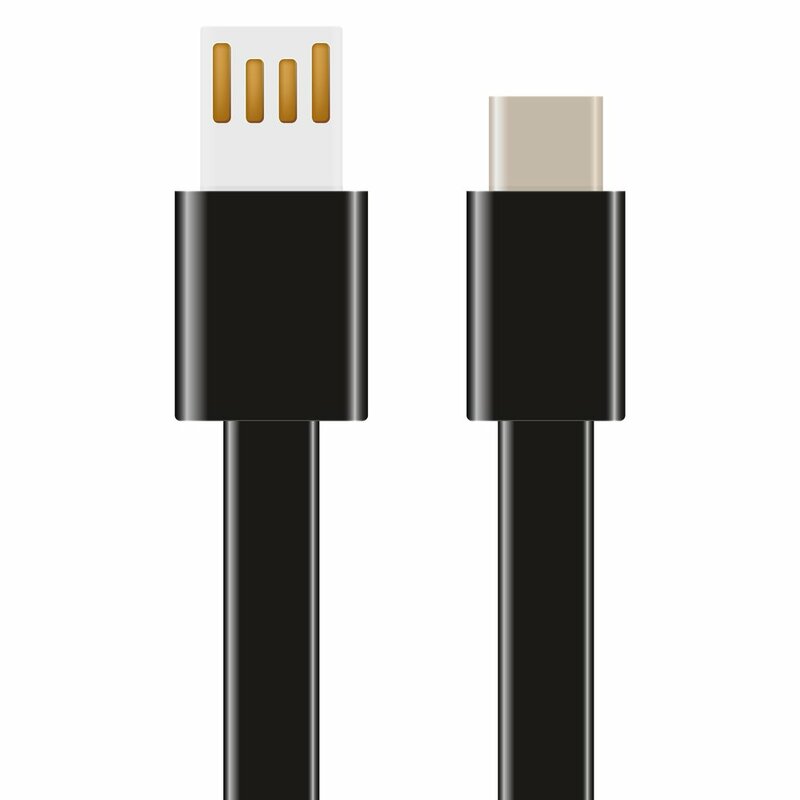 Type-B connectors are at the other end of a typical USB cable that plugs into a peripheral device, such as a smartphone, a printer or a hard drive. USB Type-C (referred to as Type-C, hereafter) made the headlines of tech periodicals around the world when the latest variant of Apple’s 12-inch Macbook was launched. It is the first notebook to incorporate Type-C in its design. From a physical standpoint, Type-C is quite similar to the existing Micro-B USB variant. It measures 8.4 mm by 2.6 mm. Due to its small size, it can easily fit into even the smallest of peripheral devices that we use today. One of the many advantages of Type-C over other existing variants is that it allows for ‘reverse plug orientation’, which basically means that you can plug in your USB cable correctly every time on the very first try! Its plug is made in such a way that you can stick it inside the slot without worrying about it being upside down. Type-C supports USB 3.1 and offers a top speed of 10 Gbps for transferring data. It also boasts a much higher power output of up to 20 Volts (100 W) and 5 Amperes. It should be noted that regular laptops usually have a power consumption in the range of 40-70 Watts, which means that Type-C easily covers their power requirements. Another functionality that Type-C offers is bi-directional power; in other words, it means that you can not only charge your smartphone through your laptop, but also the other way around! Type-C has already received rave reviews from users all over the world, and has been rolled out in some major electronic devices, including the Chromebook Pixel, 1+2 and Nexus 6P (smartphones) and the Nokia N1 (tablet). It’s almost a certainty that in the coming years, every electronic device will support Type-C. Think how easy and convenient dealing with electronic devices will become; all you will need is a single Type-C cable, allowing you to finally eliminate that tangled mess of cables jammed in your desk drawer. USB Cable freedom, at last!